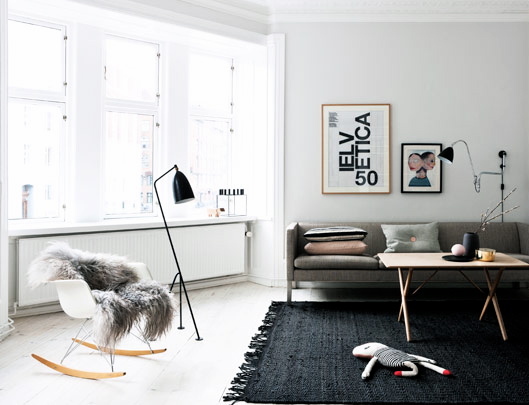 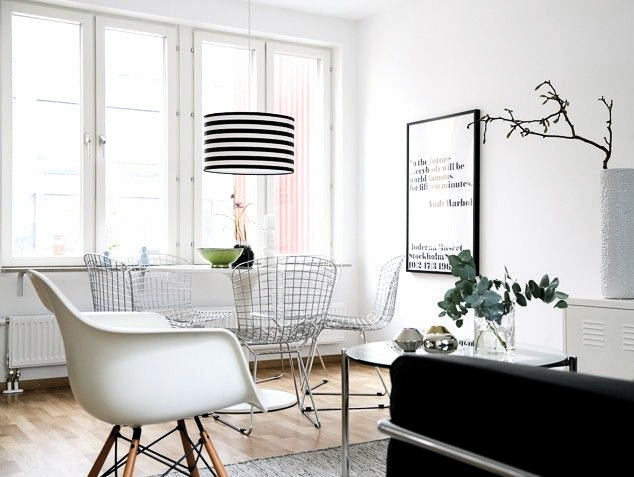 Here are some lovely Nordic living rooms. 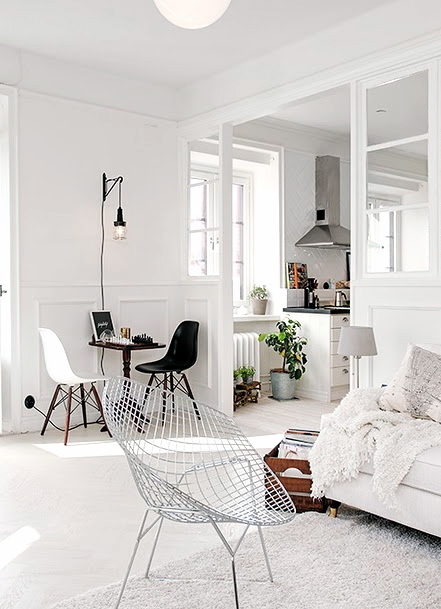 What I love most about Scandinavian homes is how bright these houses are, with a lot of lovely details. 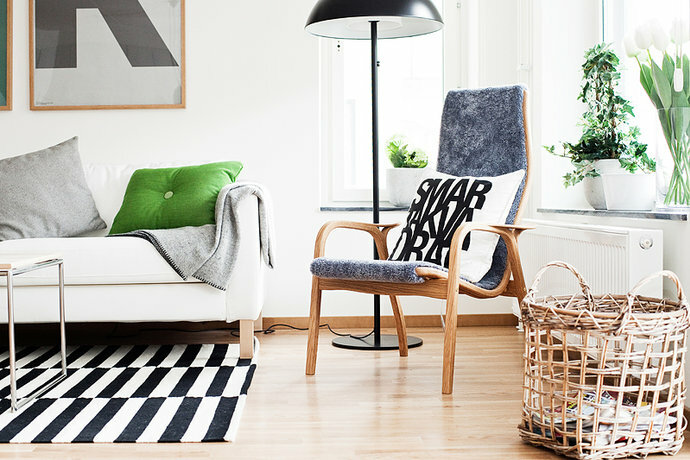 Like the green accent in the first picture (the HAY cushion), the 'Joy' lamp in the second one, the great chairs in the third and fourth photo and the wooden accents in the last two photos. 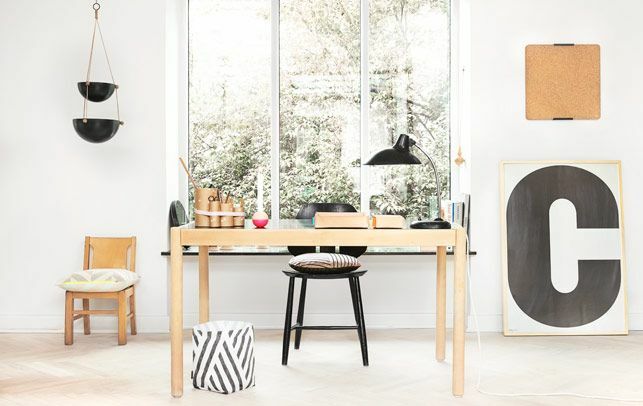 Wouldn't mind owning that Gubi Grasshopper lamp from the last photo either :) Enjoy your weekend!